Buy the Best Heated Motorcycle Clothing for Men! Winter has arrived and the first thing I wanted to make sure I had unpacked was my heated motorcycle clothing because it’s a necessity where I’m from. The cold weather gets harsh but that doesn’t keep me from yearning for the road. Heated motorcycle clothing allows men to extend their riding season by making the ride a little warmer and more comfortable. Boys will be boys and riding is something we don’t want to stay away from even when it’s cold outside! As far as choosing between battery operated and plug-in, I have my reasons for loving both and owning both. The plugin ons that I have to charge I like for longer trips, they last alot longer than the battery operated heated motorcycle clothing. The battery heated clothing type offers ease of use and mobility for shorter trips and I definitely like that it doesn’t take all night to charge. Sometimes it’s just easier for me to grab my battery operated motorcycle clothing for men if I know it’s going to be a short ride. There is a plugin / battery hybrid model of heated motorcycle clothing that allows you to plug-in or use a battery, those tend to run a little bit more money but they are a fantastic option as well. There are many options of heated motorcycle clothing on the market today. Some that you might see include jackets, vests, gloves, pants, shirts, and more. The vest pictured here will keep you warm up to 5 hours. It features smooth, clean lines and a 3-setting temperature controller. Wear this vest alone or under a motorcycle jacket for even more warmth. Staying warm will help you enjoy the ride even more! Make sure you dress appropriately for all weather. Stay warm on the road and off with a heated motorcycle jacket, vest or liner. You’ll appreciate the added warmth on those cold, blustery days! Don’t let the cold weather keep you from enjoying the ride. Heated motorcycle gloves might be some of the most important clothing you’ll wear in cold weather. When riding in the mountains, or simply when the climate is cold, your hands will be the first things to get cold. Cold or frostbit hands lose feeling, thus making riding difficult and even dangerous. If you can’t feel your hands, you can’t control your bike. Make sure you keep your hands as warm as possible with heated motorcycle gloves. The gloves featured here are available in 6 sizes, and are adequate for both men and women. They also have a waterproof membrane, so your hands won’t get wet, either. You control the temperature, so the gloves are comfortable for you. You love riding, so why not enjoy your bike in all types of weather and climate changes? Heated motorcycle clothing will help you do just that. Stay comfortable and safe all year around, when you wear the proper gear for all climates. There’s no excuse to get cold or frost bit nowadays. Stay warm with heated motorcycle clothing, and enjoy the ride all year around! Below are some more heated clothing options for you. Choose what is best for you and the climates you’ll be riding in. Keep extras with you whenever possible, so you’ll be prepared any time and in any place! And this heated clothing isn’t just for riding. 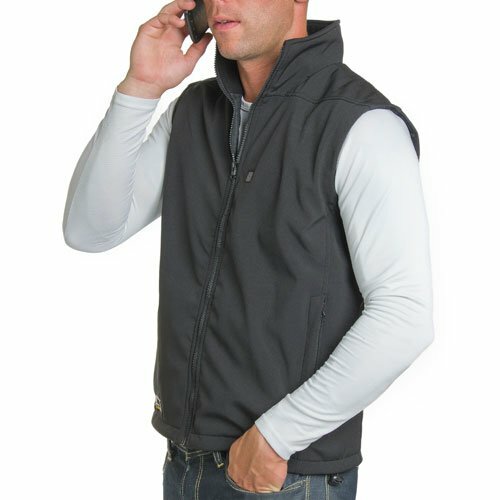 Wear it when you’re golfing, fishing, snowmobiling, snow blowing, or any time you’re outdoors in colder weather. 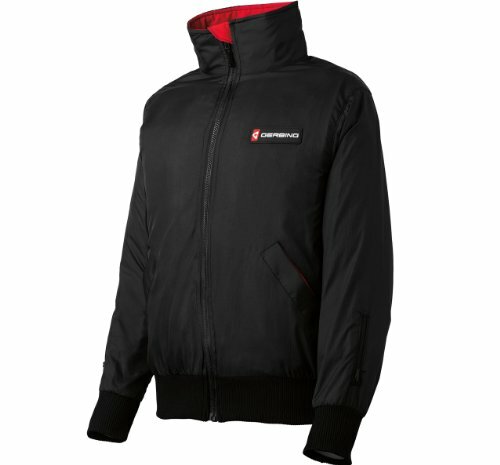 When the weather is cold, you’ll be glad you have this heated clothing!